Not everyone can write a beautiful poem, especially in the face of grief. The following poems make any obituary feel more personal and thoughtful. Written in Haiku form, this simple poem expresses deep feelings and fits into short word count limits. This rhyming poem embraces spirituality in a non-denominational way. It is written from the point of view of the deceased as a special message to bring comfort to readers. to live on in your memory. Grief is a lasting process that affects every person differently. This short, free verse poem encourages family and friends to band together in their collective time of need. with sadness, tears, and fears. dear (Insert first name of deceased), ourselves, and each other. for (him/her), for us, for them to come. in memory of our beloved friend. This rhyming poem features religious tones helping make sense of death and how to cope. I know (he/she) is there. you are no longer apart. Poetry helps people express feelings during difficult times and personalizes public announcements like obituaries. Any obituary is enhanced with the addition of unique or special words. 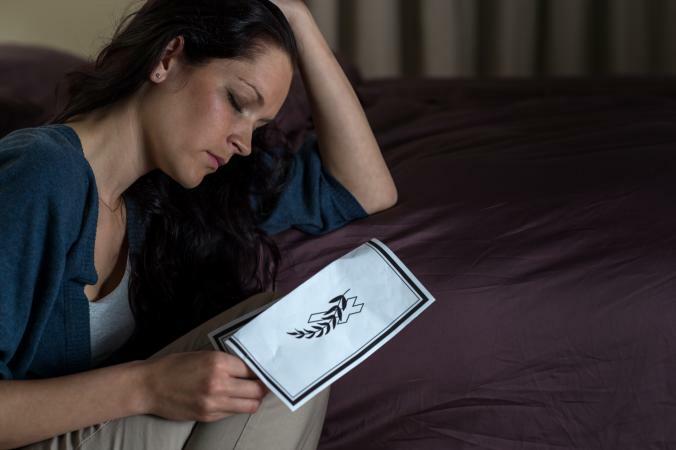 Sad poems on death help those left behind deal with grief by exploring what sadness feels like. Many well-known writers and authors have also penned famous poems about death. Whether looking to write from a humorous angle, one of mourning or one of remembrance, original poems for funeral tributes fill every need. The loss of a wife, mother, sister or grandmother can be life-changing for those left behind as these women play special roles in life. Bible verses described as funeral poems for moms can be used as is or as a starting point to creating a unique poem. Famous poems in memory of a mom are also appropriate for obituaries. Original works such as grandfather poems and poems in memory of a dad pay special tribute to important males by showcasing their unique perspectives like those of military dads. There's also a comprehensive list of published funeral poems for dad points you toward dozens of options for memorializing the men in your life. The loss or death of a child can be one of the most difficult experiences in life. Kelly Roper expertly incorporates these uniquely challenging feelings is original poems for infant loss that cover tough topics like miscarriage, stillbirth, and child illness. More online resources are available when searching death of a child poems. In modern obituaries, there are more nods to specific circumstances. Sad drug poems look at addiction from the perspective of the addict, family members and first responders. 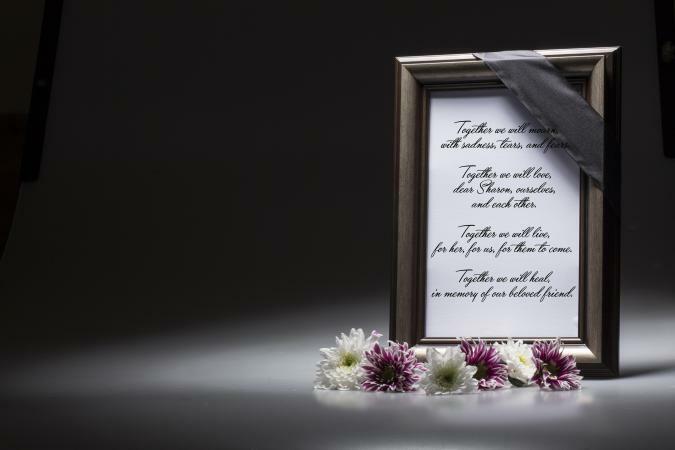 Adults and children can use death of a classmate poems to memorialize a friend, or they can be used in a teacher's obituary. Those searching for ethnic poems related to grieving benefit from helpful tips on finding them. Add poems to obituaries as a means to express feelings, make a tribute to a loved one, or send a message about life and death. The emotional nature of poetry embraces the personal connections between the dead and the living. Even if you aren't a poet, there is a poem out there that can capture exactly what you want to say.